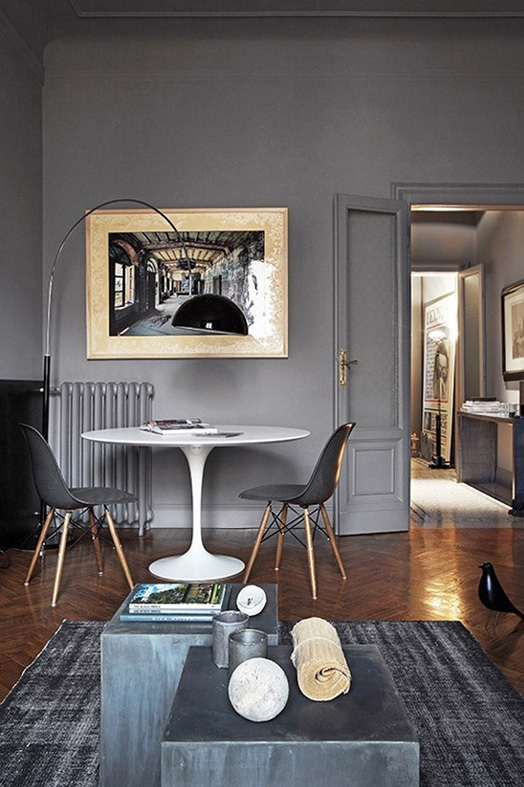 Iâm asked a lot on the simplest, quickest tricks to upgrade a room. The game changer is paint which we all know right? Particularly dark paint but donât get me started on that subject Iâll just show you this image and say no more! Today I thought we would focus on little quick fixes âas sometimes the small things in life mean a lot. Digressing slightly I can now get up and down the stairs in less than 10 mins (still takes a while) itâs a small thing but the knee is slowly, so dam slowly getting better. For anyone coming to the classes over the next few days please excuse snail like movements and the fact that Iâll probably be sitting down. Iâm fine just slightly reduced in speed! Back to quick fixes, so my first quick fix would beÂ flowers. Flowers are life changing, real, faux, from the garden, store or florist they elevate a room like nothing else I know. Tomorrow possibly Monday depending on a few things we will have all the new flowers up on the site. Gemâs made the most amazing bunches, cannot wait to show you guys (might even be able to sneak a peak in today depending on my schedule). Also IÂ always buy real,Â having Columbia Road on my door step is such a perk, I’ll always buy some scented foliage and the odd posy. If friends are coming over to dinner I pop into the garden and pull little sprigs of herbs from the garden and plop into t-light holders to take it to the next level! Simplest quick fix I know. 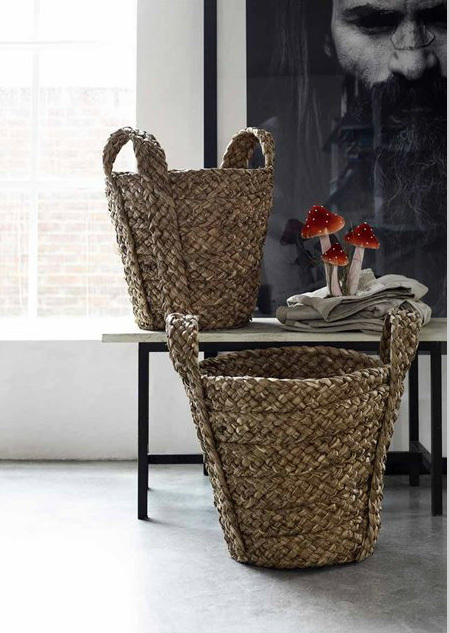 Baskets make any space feel instantly homely. Weâre about to get these in but any old basket does the trick. I store logs in mine, but they work equally well housing throws, linens, newspapers what ever. There is something about a basket that just feels so lived in. In the living room, bathroom, hallway you can put them anywhere. 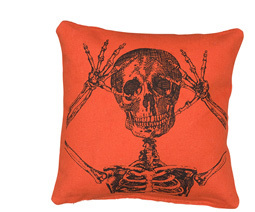 Pillows or cushions as we say over here are another quick fix as they instantly upgrade a chair, sofa or bed. I flit between going sophisticated and beautifully hand woven to these funny guys (coming in shortly). If sofas and chairs are upholstered in a solid hue then something a little patterned will lift it to the next level and if youâre scared of pattern cushions are the easiest way to introduce it! Talking of pattern â rugs are one of the most transformative tricks â especially if you go patterned, like this one below. 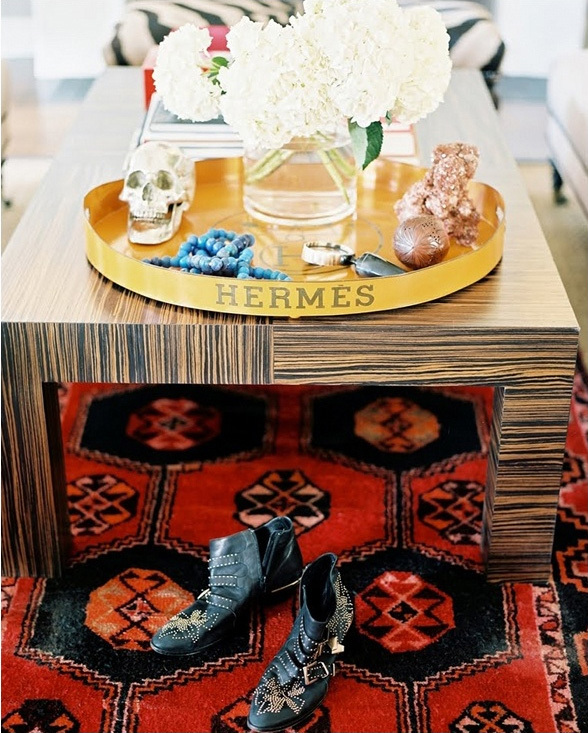 Patterned rug â check; Â vase of flowers check, some quirky accessories â NAILED! Back later with a post on more bang for your buck, oh and a cool collaboration.Â Enjoying this new format blog. Thank you by the way for all your amazing comments and the feedback, so flattered!